PROPERTYFINDERFORT is the official website of Berlyn Asprec Sarmiento, a Licensed Real Estate Broker and former Assistant Sales Manager at Megaworld Corporation. She’s the Founder of Propertyfinderfort catering Properties for sale and for rent in the Philippines. PROPERTYFINDERFORT (website) is designed to offer excellent service and assistance to individuals and families based locally and internationally who wants to purchased or lease a unit in Fort Bonifacio particularly those located in the New Central Business District, Global City, Megaworld’s latest Master Planned Community, Mckinley Hill – Fort Bonifacio, Bonifacio Global City. Berlyn Sarmiento is accredited in Top Real Estate Developers in the Philippines such as Megaworld Corporation, Ayala Land, Rockwell, DMCI, and SMDC. 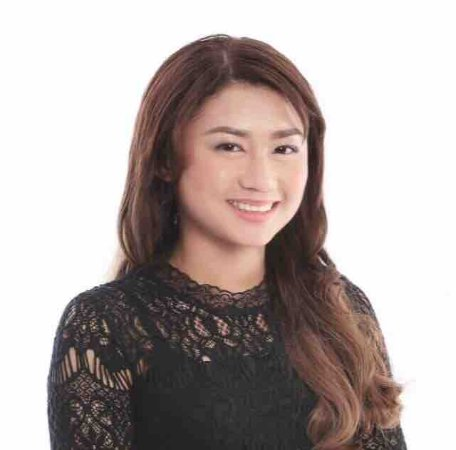 After completing her studies Bachelor of Science majoring in Pharmacy at Centro Escolar University (2013), she immediately planted her roots in the Real estate industry for almost 4 years experience as Property Specialist at Megaworld Corporation. She was awarded as Rookie of the month in the beginning of her career, back to back “Gottfried Leibniz Award” (The most Optimistic Property Specialist year 2014 and 2015) and promoted to Assistant Sales Manager at the age of 23. Hard work, determination, and perseverance lead her in becoming the top 4th Producer-Chairman’s Excelsior and became a member of the #1 top producing sales team of the company. (“The Platinum Group”). Berlyn attributes her accomplishments and success to her Mentors Ms. Bien Singson, Mr. Jackson Lim, and Sir Andre Lotuaco as well as her learnings in online and digital marketing, advertising strategies, partners, market knowledge, and of course by her family and the guidance of the Lord. She now pursues her passion in helping her clients in their real estate service needs and passed the PRC Real Estate Licensure examination (2016). Starting to create her own empire, doing her best to be successful & looking forward to all the opportunities that life can offer (2017). It is very important for her to know that those that she choose to work with have the peace of mind in knowing that when dealing with her (with their real estate affairs), that they are dealing with a professional who holds integrity and ethics as pillars of a successful and long-term relationship. – Property use can be commercial, residential, industrial, etc. – Properties can include but not limited to the following: office space, warehouse, hotel, beach, islands, buildings, casinos, condominiums, house and lot, townhouses and vacant lots. Note: Information gathered in this form will be kept confidential and will not be distributed to any other party. We respect your privacy. Below is a list of developers which I have worked with or have been accredited with. If you do not see what you are looking for, please feel free to contact me since this is not an all inclusive list.